All panels are free and open to the public. for supporting filmmaker professional development. For well over 15 years now, Louisiana’s Motion Picture Production Incentive Program has established the state as a major production hub. Come for a casual conversation about the program’s current outlook and the shape of production in the state. Did you know that the 2017 Louisiana legislative session created a fund to support Louisiana filmmakers? That’s right—starting in 2019, ~$2.6 million will be placed in an annual fund designed to support and grow the state’s indigenous film community. How can this money best support YOUR work? Join us for a 90-minute interactive visioning session that will include information about this new multi-million dollar annual resource and allow ample opportunity to share your input with newly-formed coalition Alliance for Louisiana Filmmakers. The virtual reality revolution is testing the limits of what is possible in “first person” storytelling. How can VR enhance, filter, manipulate, or warp a viewer’s perspective? Does the message of a VR film linger longer than for a flat film? In this panel discussion, we’re going to take a deep dive into the evolving meaning of first-person storytelling. 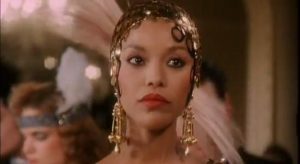 How does embodying a main character of a different race, culture, or gender affect your experience of the story? Immersive filmmakers will discuss the process of how to tell stories from the vantage point of a participant, rather than an onlooker, and will share the reactions to their films from viewers so far. Join us in a conversation with the filmmakers shaping, imagining, and leading new first-person futures. This panel is presented with support from the Center for Asian American Media and Black Public Media. Writers are often thought of like monks: reclusive artists churning out masterpieces. But more and more often, writers are being called out of hiding to make deals, find collaborators and advocate for their work. In this session, hear advice from a seasoned pro on both sides of the equation: crafting quality work and forging the relationships to get it made. Marilyn Atlas is a talent and literary manager and award-winning producer, and co- author of the book Dating Your Character. Each year, more films find their way to larger audiences over a wider and wider variety of platforms. The scale is staggering and the ink shows no signs of drying on the map of the 21st-century distribution model. Our panelists make it their business to stay on the frontier, so now’s the time for benefit from their experience. The history of the documentary film is linked with the making of “Others,” the creation of images of non-Western cultures for Western consumption. When documentarians flip this dynamic and create films about their own communities, what new possibilities and new responsibilities arise? In this session, we convene four filmmakers who are looking past dominant narratives in search of new visions of their own identities, using documentary to re- envision their cultures and rethink their place within them. This panel is presented with support from the Center for Asian American Media. Writing and development are the work before the work, the long gestation that ensures that the slender spark of a film’s soul is preserved through the burst of chaos that is principal photography. One way to keep grounded and sane during this crucial (and often years-long) period is to find a steadfast collaborator. In this session, we make time to hear directly from two pairs of close collaborators, each with a new film at NOFF. Daniel Laabs’s feature directorial debut Jules of Light and Dark has received support from Austin Film Society, IFP, San Francisco Film Society, and USinProgress. Behind every actor hoisting up a statuette or winning raves from critics is a casting director who got them the job. In this session, casting professionals with experience ranging from acclaimed TV to indie features talk about their work finding the right actor and marrying them to the perfect part. Darrien Michele Gipson (moderator) is Executive Director of SAGindie, which promotes the working relationship between professional actors and independent filmmakers. Meagan Lewis is a Emmy-winning casting director in the Southeast. She won for the first season of HBO’s True Detective and has been nominated for Treme, American Horror Story seasons 3 & 4 and the remake of Roots. If a new indie masterpiece is released and nobody writes about it, does it really exist? Like it or not, a filmmaker’s job isn’t done until the reviews are in, because it turns out that no news really just is no news. In this session you’ll get a crash course in the basics: whether and when to seek a professional publicist, how to pitch journalists on your work, and more. So after months of chiselling away at your picture lock, you look up and realize you have no idea how to find a soundtrack or commission a score. Or: you’ve got a couple of albums under your belt (and a SoundCloud bursting with new tunes) and you think you’d like to try your hand at writing for movies. Good news! We’ve collected a panel of music-savvy filmmakers and film-savvy musicians who are ready to drop knowledge on composing for films, finding the right soundtrack, and everything else to do with that almost-mystical element that only truly great film music can bring. Stick around after the talk to mingle and maybe find your next collaborator! All special events are free and open to the public. 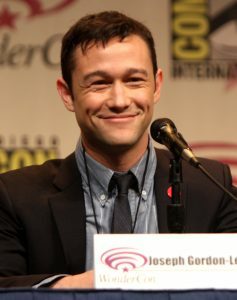 This live event hosted by Joseph Gordon-Levitt features short films, animations, and sketches created and curated by the HITRECORD global community. 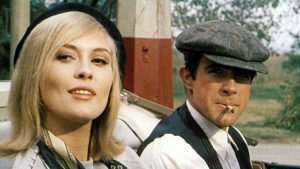 Bonnie & Clyde. Holly & Kit. Thelma & Louise. Alabama & Clarence. The faces change, but the story goes like this: They meet, fall hard for one another, and together they blaze down the open road, leaving a trail of empty banks and dead bodies in their love-crazed path. Besides the thrill of watching beautiful people pushing fast cars and the rules of respectable society to their limit, what keeps us coming back to the image of lovers on the run, young or old, doomed or charmed? This informal talk examines this old old story and finds that something about these pairs of heart- bonded runaways speaks, from film to film, to the nature of movie-going itself. Mike Miley teaches literature at Metairie Park Country Day School and film studies at Loyola University New Orleans. His writing on film has appeared in TheAtlantic.com, Bright Lights Film Journal, Music and the Moving Image, and elsewhere. His book Truth and Consequences: Game Shows in Fiction and Film is forthcoming from the University Press of Mississippi. We took all the best things about late night conversations with your movie- obsessed friends and turned them into a zany game show! Filmmakers will take turns pitching what they think is The World’s Best Underrated Film, while we submit them to a caffeinated torture test: buzzers, boos, and obligatory shots of coffee as punishment for using hack-critic cliches. Our panel of distinguished judges will crown a winner, who will walk away with a fabulous prize. Find out what happens when “bad” movies, serious film fans, and too much caffeine collide! Back for a second year as part of its national tour, The Eyeslicer brings its Halloween Special to NOFF: a program of mind-blowing short films intercut with introductions by nine amateur Elvira impersonators found on CraigsList. Receive basic one-on-one training with a Super 8 camera, and then borrow a Pro8mm camera to shoot a free roll of Kodak Super 8 film. All the film will be processed in native 1080p HD at Pro8mm in Burbank, CA, and a compilation reel will be edited together and made available online. Sign out at the registration desk, check out a camera and claim a roll of film. Roundtables are open to All Access Passholders only at the Conference Room at the New Orleans Advocate, 2nd Floor. Since 2001, Adult Swim has been the evil conjoined twin of Cartoon Network, the side of your TV that never sees the sun. In this session, find out what makes AS’s special sauce so…special. Missy Laney is Director of Development at Adult Swim. Where does your film go once you hit the SEND button on your fest submission? How do you take 200 unrelated films and make a program out of them? How do you watch 40 hours of films a week while retaining your grip on reality? These programmers have the answers! Seed&Spark is the world’s only streaming and crowdfunding destination, supporting inclusive films with funding, audience building, and distribution. In this workshop-style class you’ll learn how to find and engage your fans, run an effective crowdfunding campaign, and then distribute your film—all while preparing you to make your next film. Brandi Nicole Payne is Crowdfunding Specialist at Seed&Spark. Interested in the mechanics of shooting with film? 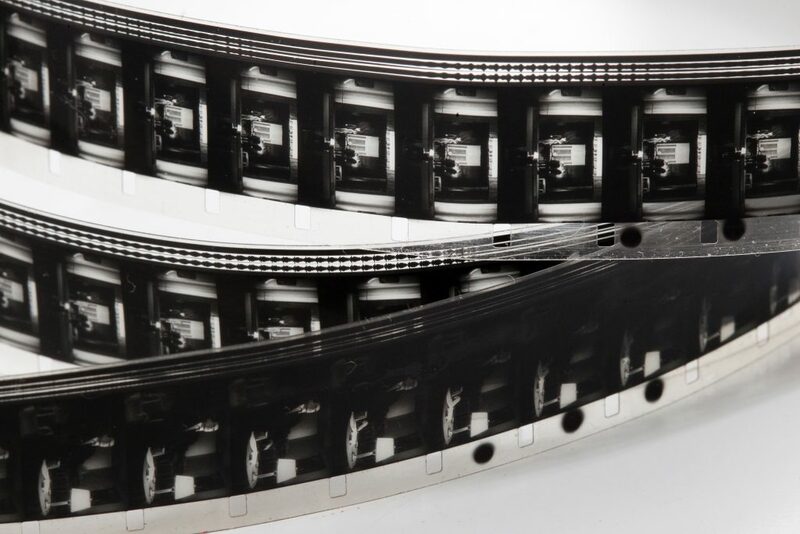 Don’t miss a 16mm Roundtable hosted by Kodak and Panavision at 12pm on working with celluloid. Michael P. Brown is a Vice President at Kodak. Paola Mottura is Manager of the Sundance Institute Documentary Film Program’s Film Fund. In a classic case of just enough of a good thing, we’ve got another sit-down with programmers from all over. A production manager’s job is kind of like a navigator on a huge ocean- going vessel. You might not always notice what they’re doing, but try going without one. In this talk, a seasoned Hollywood producer and PM gives his perspective on this crucial but undersung work. Paul Garnes is producer, line producer and production manager on films and television series, with credits including Queen Sugar, Underground, and Selma.